The inspiration came to me on one of these mornings when I had lot of things to do and knew that it wouldn’t be just a simple day like another. In fact, to be honest, I forgot my son’s sport bag, spilled my coffee and cut my laces in car door, and all in the same morning…. So I started looking for a new pair of shoelaces. I thought find them in my nearest supermarket and don’t be late at my office... but when I was standing in front of a ridiculous range of laces, I realized that we really had no choice of shoelaces! When I arrived to my office with my broken shoe laces, I shared my misadventure and my marvelous idea with my colleagues. That was a beginning of Mylaces.com, shared and loved by all our team! Discover our colored shoelaces on MyLaces.com and make your choice right now! Mylaces.com loves fancy not « show-off ». and show that we pay attention to detail. 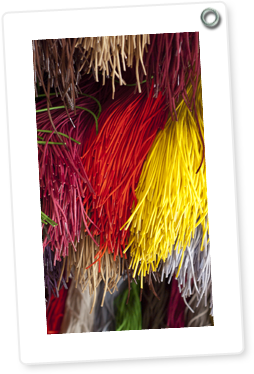 You can check it out choosing our colored shoelaces for every style and always at low prices.! How to stand out without being noticed? For us, it means be stylish and elegant! Mylaces.com offers natural products (100% cotton*) manufactured in France. So our shoelaces are 100% made in France! We wish to preserve our environment and offer you natural products of choice. Give you an increasingly wider choice of shoelaces is a big challenge for Mylaces.com. We love put them into colored wrapping pockets with our little hands and send them to you. Mylaces.com will love to share our products with you!